We have a carefully selected range of promotional coasters and printed drink mats available for branding with your logo. Look no further for your branded coaster needs because we offer 100% free mock up service, a price beat guarantee and the fastest turnaround in Australia. Combined with over 40,000 successfully completed orders and 15 years promotional experience. Homes, restaurants, and bars in Australia and across the globe make use of coasters. In fact, they are so commonplace individuals often notice them even when they aren't being used for their intended purpose. Obviously, this depends on the coaster itself. A plain, boring, one-colour coaster won't attract as much attention as one with vibrant colours and an intriguing design. Although all coasters are designed to prevent condensation rings on tables or desks and protect the furniture, they can accomplish much more than this. The right coaster can bring attention to a business and increase brand awareness, often without the consumer knowing this is taking place. Most consumers assume the coasters being used in a restaurant or bar are marketing the eating establishment. Printed Coasters, nevertheless, may actually be used to promote a particular brand of food or drink. They can be designed to display a message, such as don't drink or drive, or they might advertise specials of the day and rotate on specific days of the week. As coasters tend to be inexpensive, a company can find numerous uses for them as part of an overall marketing plan. Regardless of the design or message, the coasters act as an inexpensive billboard and provide advertising several times in one day. Promotional coasters come in many materials. A company may choose from options such as rubber, metal, acrylic, or neoprene, and this allows each business to find the coaster material that best fits their budget. For instance, paper coasters are often used in eating establishments, with each customer receiving a new coaster. Metal coasters, in contrast, are frequently presented as a corporate gift thanks to their durability. They hold up well over time and may be engraved with the recipient's name or other pieces of information the provider of the coaster wants to share with others. Other options for coasters include full-colour digital or screen printing and single- or double-sided printing. The coaster provider can be of great help in determining which options are best for each client looking to place an order. Beer coasters are referred to as an evergreen product. This means they remain popular and highly effective over the years. Any company looking to increase their brand exposure and reach more people should consider this option the next time they go to place an order for promotional products. Although they aren't trendy and exciting, they do offer significant marketing impact and outstanding value for the money. For this reason, printed coasters should be on the list of items to consider for every organisation looking to obtain promotional products. Function is another reason why many organisations choose to purchase printed coasters. A promotional item is of more benefit when it engages the consumer immediately. A coaster does this simply because the individual will use it right away to hold their drink. However, the coaster needs to be unique to truly attract attention. The coaster functions as an advertisement for the business displayed on the unit, thus companies need to make certain the coaster truly reflects who they are and what they stand for. A plain coaster may lead a user to believe the company represented on the coaster is plain also and look elsewhere for the products and services being offered. In contrast, a coaster with unique artwork designed to catch the eye will lead the user to want to learn more about the brand. Printed coasters are of great help at conference and trade show events. When a customer visits a booth or display at one of these events, a vendor may choose to provide the visitor with a promotional coaster and a drink. This not only helps to promote the business, it also encourages the visitor to linger and learn more about the company hosting the booth or display. They get a moment to relax and take a break, receive a refreshing drink, and learn more about an organisation, which is likely their reason for attending the event. The addition of a drink and coaster will help to distinguish a business in a crowded field and allow it to get noticed by those most likely to buy the products and services being offered. 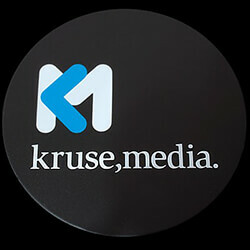 Consider printed coasters when purchasing promotional items. With so many ways to use these items, it's surprising more companies don't make use of this option. That is good, however, for those who do. It provides a way for their brand to get recognised in a positive way, and this lingers in the mind of all who come across the coaster. The business benefits as a result.